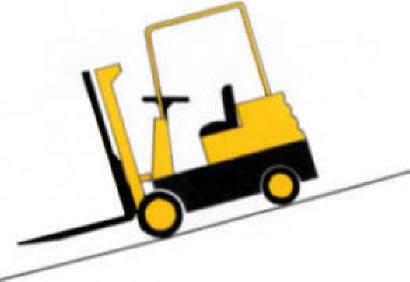 Know the forklift wheel position and your direction of travel in relation to loading docks, trucks, and platforms. 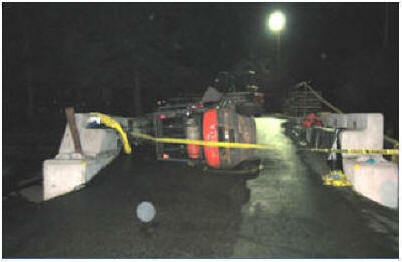 When travelling up or down an incline with a load, keep the load pointed uphill. 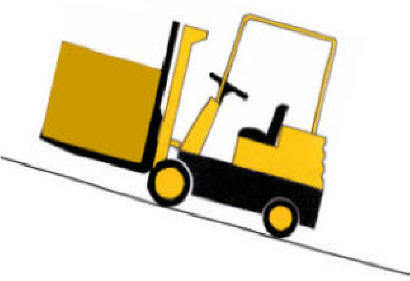 When driving up or down an incline without a load, keep the forks pointed downhill. Do not turn until you are on level ground. If you ever begin to tip, DON’T JUMP OUT ! ! ! Brace yourself, hold steering wheel tightly with both hands, push yourself into the seat and lean away from the fall. 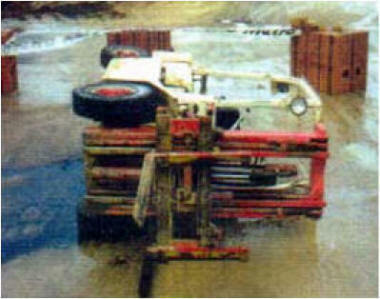 Most forklift fatalities are due to crushing injuries when driver becomes pinned under part of the machine.